Every maker has a story. Be a part of Esprit de Vivre Creations's story by placing an order, leaving a review, and seeing your review appear here. Celebrate "bon temps" year round! The traditional colors of Mardi Gras symbolize justice (purple), faith (green), and power (gold). 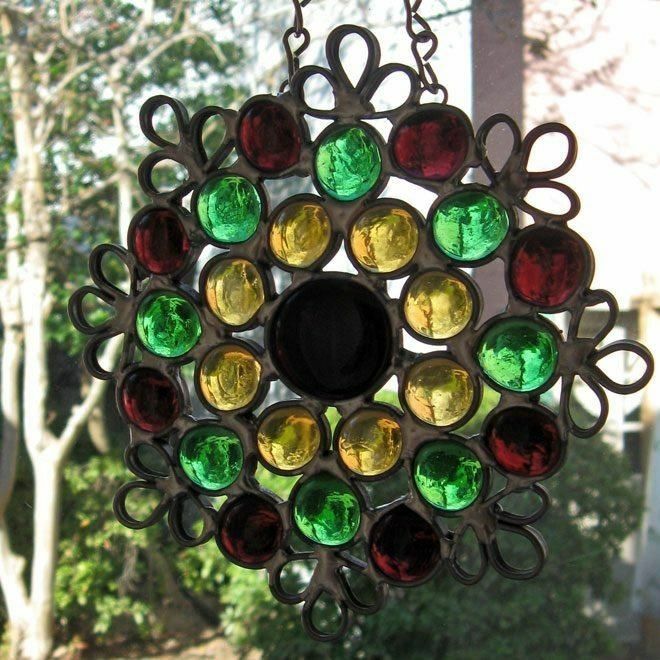 This suncatcher is made by soldering glass nuggets and lead filligree together and is 8" in diamenter. Suncatchers can be made to order - contact me to discuss colors, design, and price.